1.In large pitcher, stir wine, liqueur, sugar and lime juice until sugar dissolves. 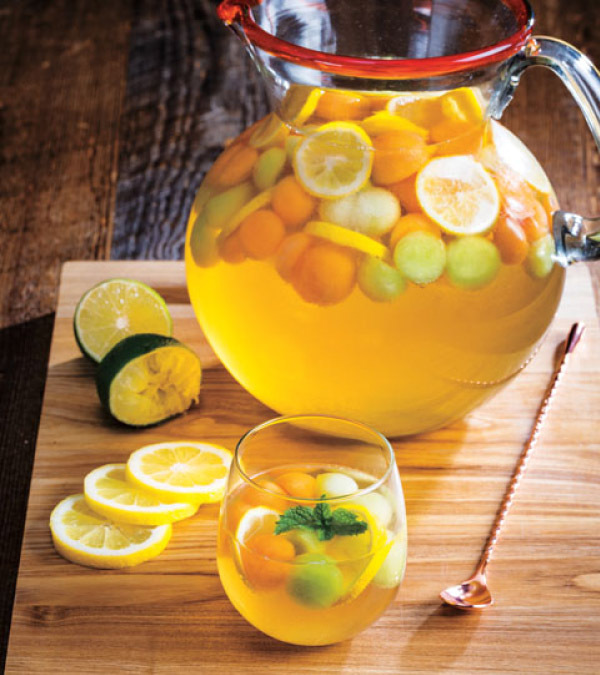 Add lemon slices and melon balls; refrigerate at least 4 hours or up to overnight. 2.To serve, stir in ginger ale; pour into glasses and garnish with mint sprigs, if desired. Makes about 16 cups. > Vary the size of the melon balls for visual appeal.